WP GPX Maps Error: File /home/marshell/public_html/joyfuladventures.life/wp-content/uploads/gpx/route1445326039.gpx not found! This weekend’s adventure was a local hike in North Phoenix. 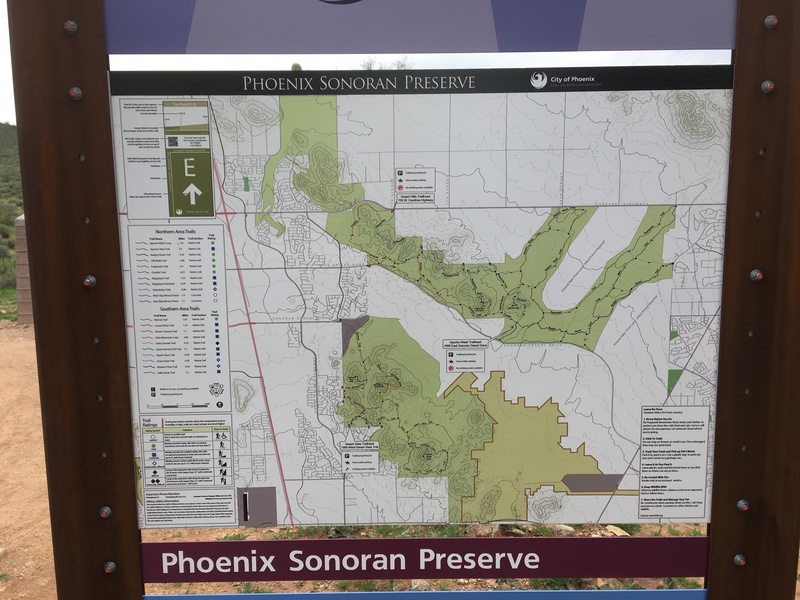 The newly renovated Phoenix Sonoran Preserve was a very lovely easy hike with panoramic views of the Valley of the Sun and some beautiful desert scenery. 1600 E. Sonoran Desert Dr.
1900 W. Desert Vista Tr. There is a large parking lot at Desert Hills Trailhead right at 7th Avenue and Carefree Highway. In spite of the number of cars there, we really didn’t see many people for a Saturday afternoon. 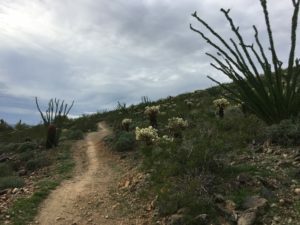 There are several trails to choose from and you can hike/ mountain bike/ or horseback ride on any of them. I’ve been around long enough to remember when all that was there was the paved road up to the big antenna and back. 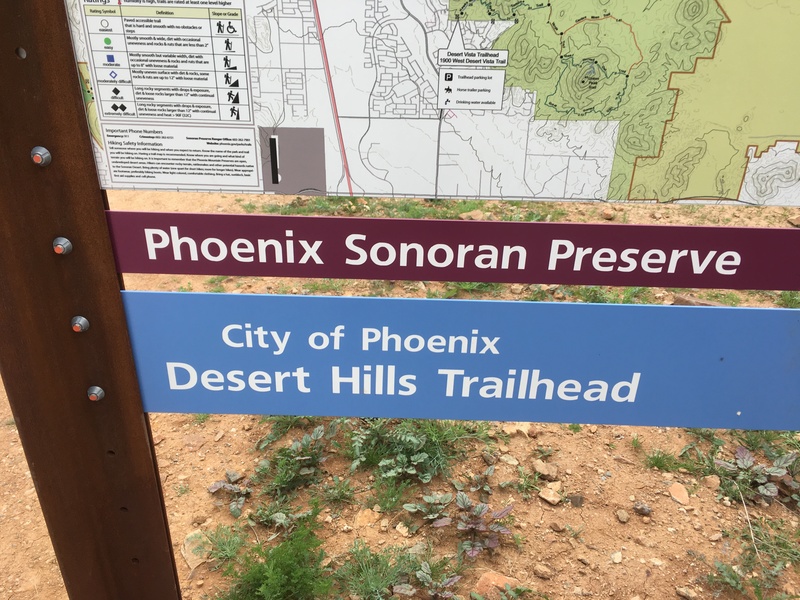 (Which BTW is still there so its a great workout for moms with strollers or people who don’t want to be out on an unpaved trail.) The work put into the trail system is impressive! The day was hazy so the photos are not the greatest. 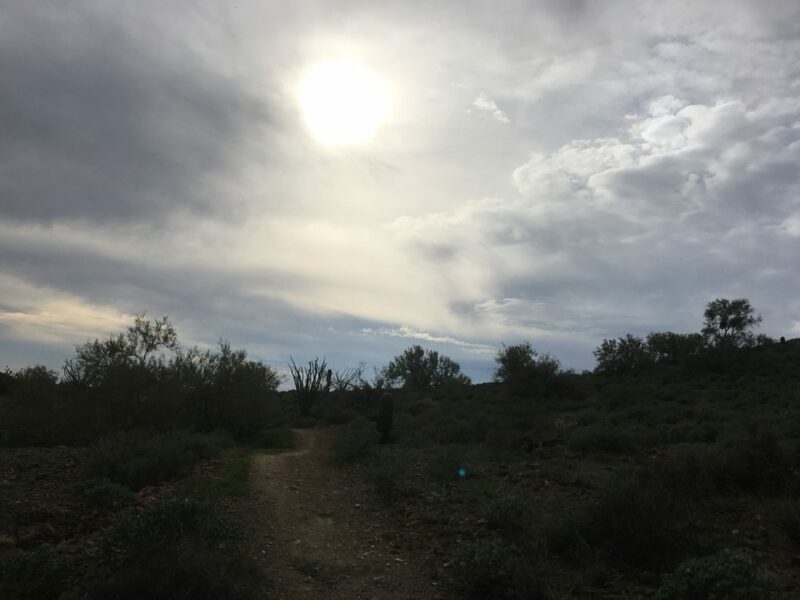 Winter in Phoenix is infamously fraught with air pollution and haze so it can be hit or miss on the photogenic spectrum. But we still had a lovely hike. It was notably quiet and relaxing. The trail is well marked and because there are major roads north and south there is little chance of getting lost. 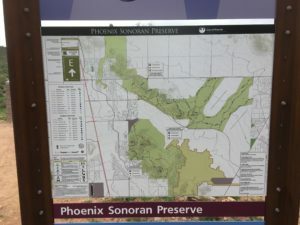 As you go along the hike from the 7th Avenue Trailhead, you can see the expanse of the trails. We also love the Apache Trailhead which has ample parking and a fantastic paved trail that goes east about 3 miles and west about 3 miles also – perfect for folks like us that love to inline skate. 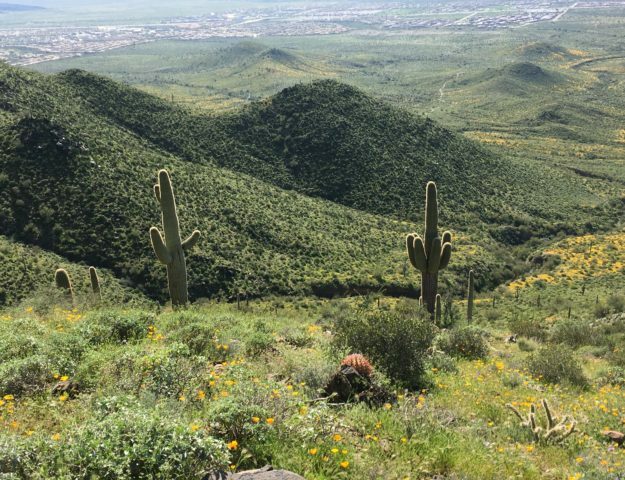 It is really great to be in one of the largest cities in the US but still be able to go hiking and see nothing but unadulterated land. 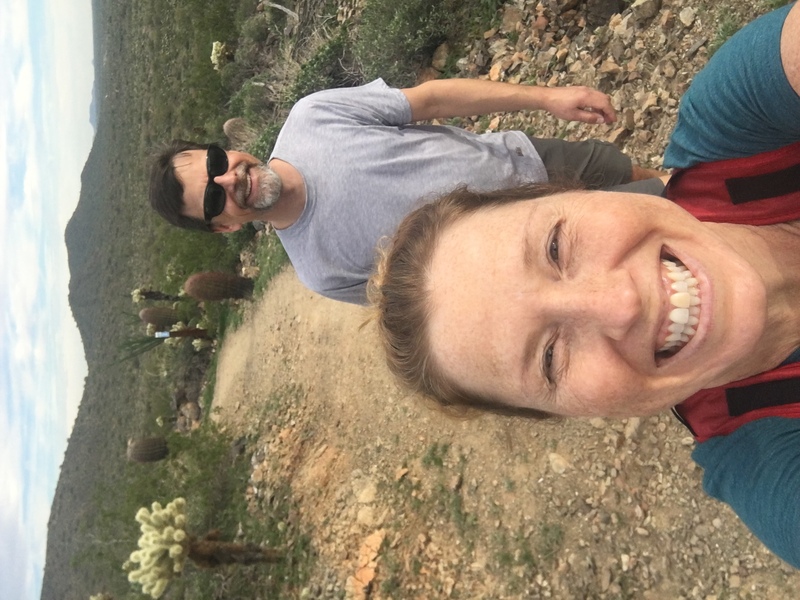 We thoroughly enjoyed our hike and went home to have a lovely dinner without being too worn out. 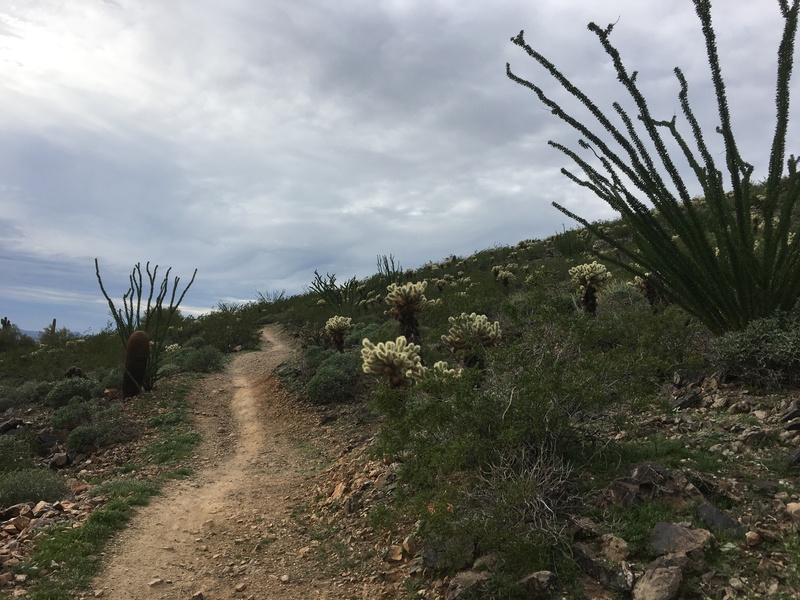 If you are looking for an easy to get to hike in the North Valley, Sonoran Preserve is a great choice for an outdoor enthusiast!